Baker & Provan are the Authorised Service Representative for a number of international Original Equipment Manufactures (OEMs). Through assessment, recognition of our quality and attention to detail, the OEMs have entrusted Baker & Provan to perform Support Services on their behalf. With our relationships with the OEMs, we can ensure their products are maintained in accordance with specification and technical documentation, thus ensuring maximum warranty and life of type. 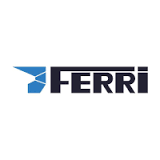 Ferri with its proven track record, since 1964, is experience in contributing solutions for all types of craft, both civil and military: fishing boats, cargo carriers, offshore and oceanographic units, megayachts, patrol boats, frigates, aircraft carriers, etc. and oil & gas offshore platforms. Providing equipment such as Davit Systems, Cranes, Launch Recovery Systems, Rescue Systems, winches and many more systems. Having been an integral part of the Fouré Lagadec group since 2003, FL Marine benefits from ACH Engineering's experience. This company has supplied more than 150 systems, mainly including roll stabilisers as well as steering gear, bow tunnel shutters, cable laying equipment and automated wing control systems. FL Marine has established itself by basing its business on the maintenance of such equipment. Today, with the support of the Fouré Lagadec group and the experience it has gained, FL Marine has established itself as a quality equipment designer and manufacturer for the shipbuilding industry. We are involved in all aspects of a project, from technical definition to commissioning, including the design, construction and integration of our systems. We also monitor systems on behalf of ship owners and shipyards throughout the life cycle of our equipment. The sea is our natural element, the one Fincantieri understand better and faster than the rest. In every epoch, we have built ships equipped with state-of-the-art technology that sail the seas from north to south and from east to west. Today we look towards the future, ready to take on new challenges in order to build the cruise ships, naval vessels, offshore units, ferries and yachts that will play a leading role in the seafaring history of tomorrow. Because our hallmark has always been the courage to change. DEMAC is a market-leading company in the manufacturing sector of hose and cable reels for industrial and lifting applications.